Falling asleep while driving is a real issue for millions of people each year. According to the National Sleep Foundation, over 60% of adult drivers reported feeling drowsy while driving in the past year. 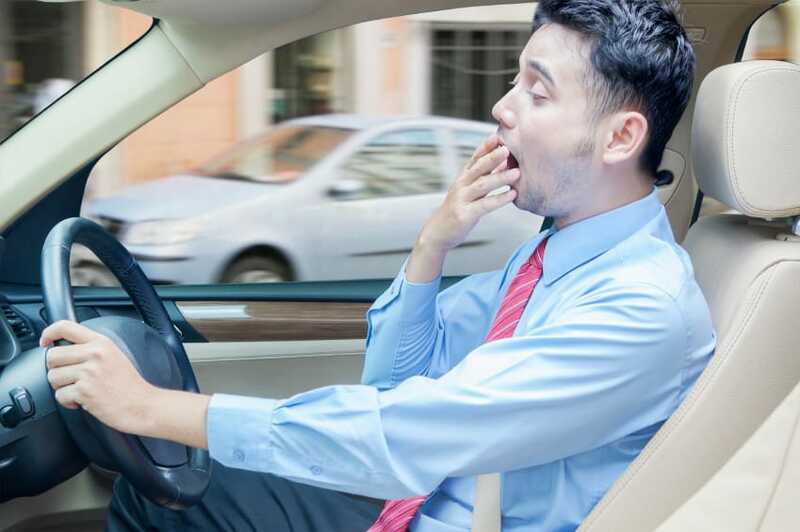 Over one-third of those polled reported either falling asleep or zoning out completely while driving. Some admitted to nodding off at the wheel at least once a month. Currently, there is no test to determine sleepiness as for intoxication. Drowsiness has been linked to being as dangerous as some drunk drivers because of the loss of control and focus while driving. Currently, there has been an estimated 100,000 police-reported crashes with a direct cause being driver fatigue each year, according to data from the National Highway Traffic Safety Administration. There are an estimated 6,000 deaths and 71,000 injuries that resulted from drivers who fell asleep at the wheel. These numbers are only second to drunk-driving fatal accidents, and ahead of distracted driving accidents, which can include texting while driving. Sleep deprivation accidents are associated with over $31 billion in damages. Who Can Fall Asleep While Driving? Anyone can fall asleep while driving. Everyone can be overworked and lose track of how exhausted they have become. One of the primary industries that have experienced fatigue and sleeplessness is the trucking industry. There have been many cases of truck drivers falling asleep or being fatigued after driving for over 12 hours straight. As of July 2013, the trucking industry has to limit their driver’s work weeks to 70 hours a week; only a small percentage are affected by this change. These steps are helpful in promoting safety rather than efficiency, which risks the lives of the driver and those around them.